Premium performance fabrics made to withstand life’s everyday accidents. “Innovate” might not be the word you think of when it comes to textiles, but that’s exactly what Culp does. For over 4 decades Culp has delivered fashion-forward, high-performance, stylish fabrics across the globe. They were seeking an agency partner to help launch their LiveSmart brand and increase awareness across channels. 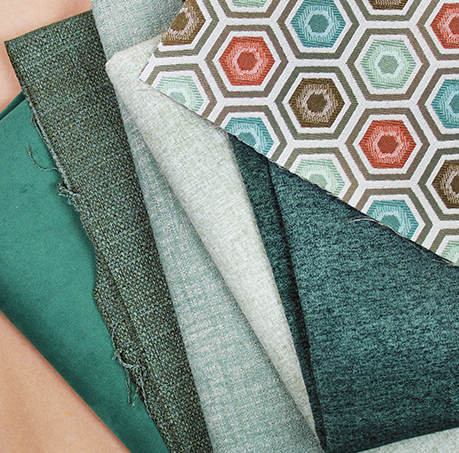 Culp has created LiveSmart, a new performance fabric line in a competitive marketplace. Their desire was to develop and launch a digital, web, social, and content strategy to fully integrate all digital marketing activities for the LiveSmart brand for the first time. The first nine to twelve months were dedicated to building LiveSmart’s brand online and establishing a baseline for engagement and traffic. Reaching audiences across communication channels is more important than ever. Integration and optimization across channels increases the contextual relevance of each message, resulting in higher engagement. Since the launch of the program, the website has continually generated traffic to the site and increased lead conversion opportunities with key targeted consumer and manufacturer/retailer audiences. The optimized landing pages, targeted social media campaigns, and focused blog posts have gained authority from a search perspective and are elevating LiveSmart as a credible source for information and solutions. With the successful establishment for the foundation of the program and baseline for success, the plan is to expand LiveSmart’s footprint into other areas such as conversational marketing, Account-Based Marketing, paid media and influencer marketing. Email open rate and 6.96% click rate across all emails for the first 6 months of 2018. Instagram interactions from 125 followers during the first 6 months of 2018. Increase in blog views from January to November 2018, with 1,425 total blog views.